A great deal of attention has been currently paid to cultivate highly qualified doctoral students. As our society has tremendously been changed, a new type of doctoral students who possess their deep academic expertise, a broad perspective of view and vision and planning and management abilities will be critically needed. These individuals will play the major role in a decision-making in industries, international organizations and central and local governments. By seeking to revolutionize education and research within an integrated framework of arts and sciences and cooperating with industry and government, our All-Round Program for Leading Graduate School (PLGS) will cultivate highly qualified doctoral students and contribute to needs in our society. 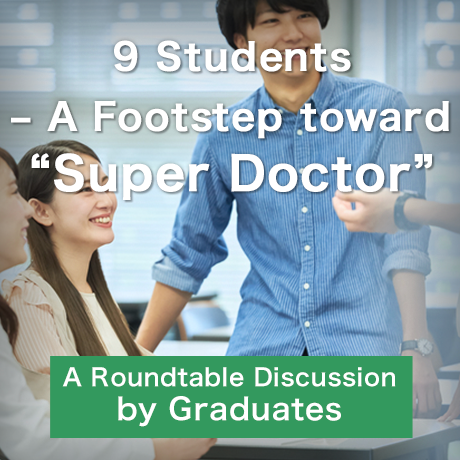 Students will be competitively selected from 13 graduate schools of Keio University. Note: The Ministry of Education, Culture, Sports, Science and Technology (MEXT) selected our leading program as Science for Development of Super Mature Society, one of Programs for Leading Graduate Schools (All-Round) in 2011.